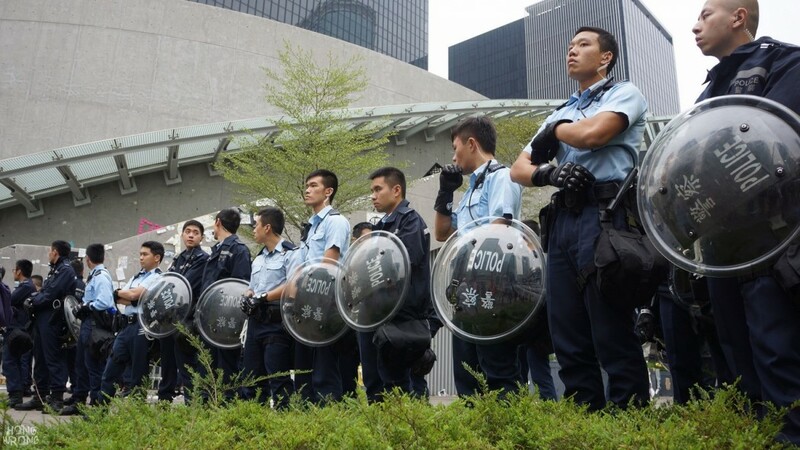 Two more instances of police testimony rejected as not credible have occurred in court cases related to the 2014 pro-democracy Occupy protests, according to Apple Daily. In one case, the defendant was acquitted and in the other the charges were withdrawn by prosecutors. In a case heard on Wednesday, Leung King-shun, 19, was said to have thrown a rock at a police officer who was recording footage at Tamar Park on December 1, 2014. However, he was acquitted of assaulting the police after the magistrate noted that nobody had seen the defendant throwing the rock. 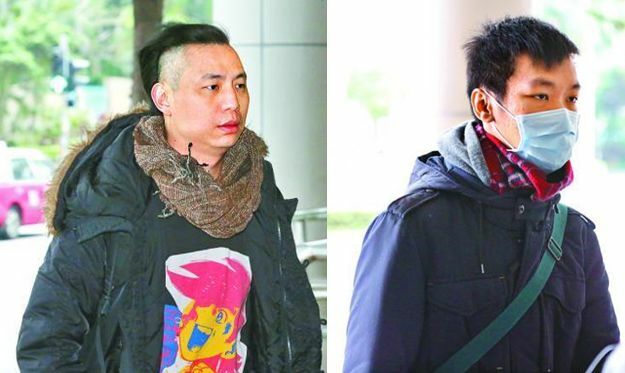 Defendants Wong Ho on right and Leung King-shun on the left. Photo: Apple Daily. He said that the police officer who was hit likely could not see who threw the rock at him. The recorded footage also did not show how the rock hit the police officer. Another police officer who claimed to have witnessed the incident was not credible because his vision may have been obstructed by the police officer hit, said the magistrate. Suspicions were also raised as to whether he could have collected the same rock at the scene after subduing the boy. Although the footage showed the boy kneeling down to pick something up, which the magistrate thought suspicious, it could not constitute evidence that he had thrown a stone at a police officer. In another case which was to be heard on Wednesday a protestor, Wong Ho, was accused of common assault on a police officer on September 27, 2014 outside Citic Tower. However, the prosecutor withdrew the charge before the hearing. No explanation was given. Apple Daily reported that in police-recorded footage obtained by the defendant, Wong was shown not to have hit the police, but to have been hit by numerous officers himself. After the evidence was handed to prosecutors, they withdrew the charge at 7pm the day before the hearing. Wong said he had always hoped to find video footage of the incident but could not locate it until relevant footage was coincidentally found in another defendant’s evidence. 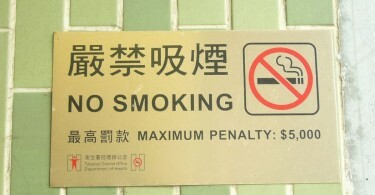 Wong has said that he will take the matter to the Complaints Against Police Office.